(UPDATED) Silicon Valley pioneer and venture capitalist Dado Banatao is set to open his own incubator in the Philippines, in partnership with the Asian Institute of Management (AIM), through his foundation, PhilDev (Philippine Development Foundation). 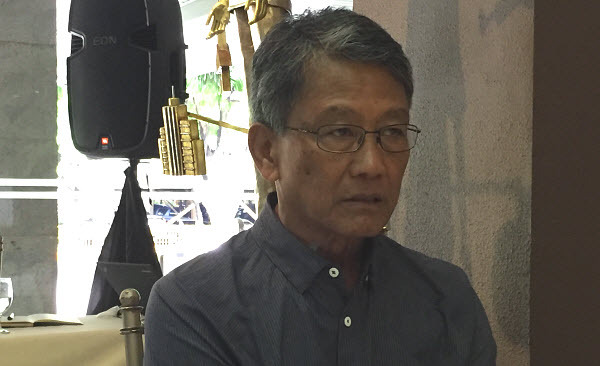 “We’re looking for entrepreneurs who are ‘suicidal,’ those who have all their odds against them and are only looking for an opportunity to get outside the orbit,” Banatao said in a press conference on Tuesday, June 7. The AIM-Dado Banatao incubator is open to any entrepreneur who has innovative ideas, as he believes “innovation is the way to go up.” The program, which is eyed to start this year, will initially take in four startups to ensure focus. “We are consumers of a lot of high-tech but not much producers… We hope to leverage the biggest leverage of all: the intellect. An engineer using [his or her] intellect right can have a lot of returns, more than money,” Banatao said. The program is open to all startups nationwide—even non-students of AIM— especially those from the countryside. Startups who will successfully enter the incubation will also have access to the PhilDev entrepreneurship fund and AIM’s “Banatao and Friends Entrepreneurship fund” with mentorship from Silicon Valley-trained experts and AIM faculty. AIM President, CEO and Dean Jikyeong Kang also hopes the incubator will later on nurture startups outside the country, and become an established hub in the ASEAN (Association of Southeast Asian) region. “We’re here to fill the gap in the [local] market, not to imitate existing incubators already. Besides, a lot boast their Silicon Valley experience, but I don’t think anyone can be at par with Dado’s experience there,” Kang said. Banatao was one of the pioneers in Silicon Valley, having invented the first chip set installed in personal computers in 1984, which is still present in 30% of computers today. The engineer said most entrepreneurs today only focus on getting rich, without innovation in mind. “The ecosystem here is broken—most just build shopping centers, that create employment yes, but it only makes the rich get richer, and the poor, poorer. We need brilliant minds who can affect thousands through their work, then get rich in the process,” Banatao said. Supporting that vision is the new graduate program AIM will soon offer called Master of Science in Innovation and Business (MIB) which aims to educate those who finished STEAM (science, technology, engineering, architecture, agriculture, and medicine) degrees and/or have such background to infuse entrepreneurship to their profession. AIM is also relaunching the Master in Entrepreneurship (ME) program for entrepreneurs managing small and medium enterprises or managers of corporations. The ME and MIB programs will start September this year. Some of the alumni of the program include Architect Cathy Saldaña and Cinco Corporation CEO Jose Magsaysay, the man behind Potato Corner.